Football is dripping with sentiment and it can be a terribly destructive thing and sometimes influences big decisions which should be made in a cold-hearted way. The case in point is Arsenal and Arsene Wenger. Just a few weeks ago, we saw how sentiment can obscure reality in the case of Claudio Ranieri and Leicester City. The fundamental principle we are dealing with here is the fact that every decision taken at a football club should always be with the best interests of the club in mind; never the individual. In a nutshell, it’s the reason why Alex Ferguson showed Roy Keane the door. He could have done it in a better way but he had to do it. Likewise the Leicester owners with Ranieri. Leicester fans held up their A4 sheets with scribbled messages of support but there were no boycotts and no seething discontent. Behind their affection for Ranieri, they knew that relegation was almost preordained if he stayed and there was strange fatalism at work. It was almost as if they were prepared to accept failure as the price which had to be paid for the title win. But the owners had a different plan. Now, two games later, Craig Shakespeare, who I must admit, I never heard of up until the moment Ranieri was sacked, has put six points on the board and it’s all smiles at the King Power Stadium. Wes Morgan was asked whether Shakespeare is doing anything differently and he said no, everything was “just the same”. Clearly it wasn’t ‘just the same’. Ranieri is gone and Shakespeare is a direct link back to Nigel Pearson. Fans who were crying in their soup have been able to adjust to life without the Tinkerman in a heartbeat. But this is football and we should not be surprised. What happened last week doesn’t matter anymore and it’s that environment which Arsenal have singularly failed to cope with. In fact, the only stakeholders at the Emirates who have satisfied the fundamental principle I mentioned above are the season ticket holders. They have shown extraordinary patience and sentiment has played a positive role in that. They remember what Wenger did for them and they respect him. But now they want change and the Arsenal board has totally failed to deal with that in a sensible way. They should never have offered Wenger a contract or at the very least, they should never have told everyone that they had put a two-year deal on the table. Now they have the worst of both worlds; a manager who doesn’t know his own mind and a board paralysed by their own actions and let’s be honest, sentiment. 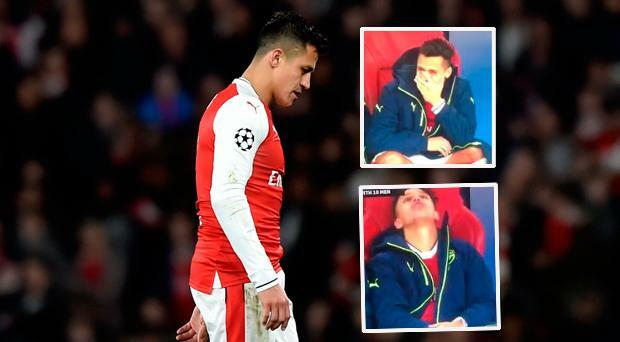 In that bubble, players become itchy and Alexis Sanchez, Wenger’s “best” player, is a problem. I had to laugh when people were shouting about Wenger dropping his best player for the Liverpool game. By no stretch of the imagination could he be called that after his behaviour. I’d say he was the worst player in the squad, certainly the most destructive. It’s a pretty miserable approach from Sanchez who hasn’t covered himself in glory in this. He was an occasional player for Barcelona and Wenger made him a star. I’m certain he has been tapped up and his response has been terrible. He all but smirked when the camera focused on him just after Liverpool’s first goal at Anfield at the weekend. This cannot go on. Someone needs to make a decision at the Emirates and fast. My gut feeling tells me that it won’t be Wenger. Certainly not after last night’s heavy defeat to Bayern Munich.